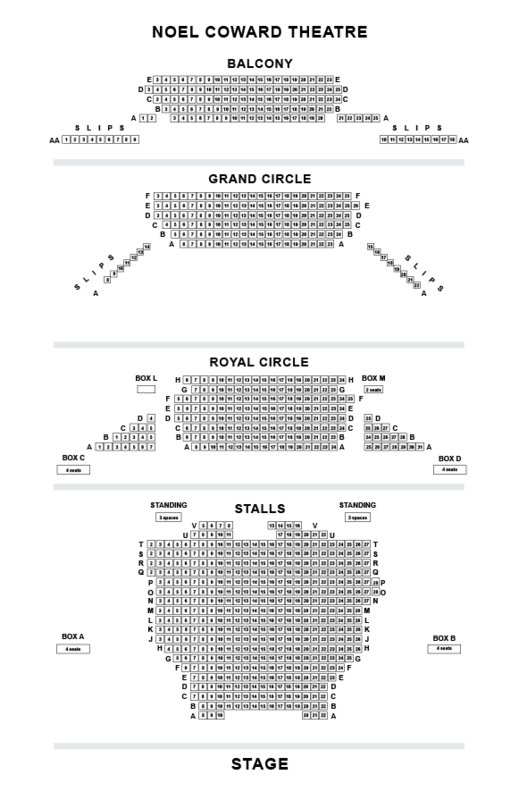 You are booking for The Inheritance parts 1 and 2, saving up to £30 on the best seats in the house* Part 1 Mon 7:15pm and Part 2 Tue 7:15pm Part 1 Wed 1:15pm and Part 2 Wed 7:15pm Part 1 Thu 7:15pm and Part 2 Fri 7:15pm Only the first performance will appear on the calendar and in your basket. *Terms and Conditions apply: Valid on performances between 22 October to 30 November 2018. Save £15 per ticket on £95, save £10 per ticket on £45 tickets, or save £40 on £69.50 tickets. Strictly subject to availability. 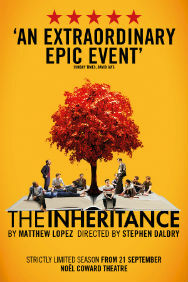 Critics recognised Matthew Lopez’s play as a modern classic, and one of the most important plays for many years. A generation after the peak of the AIDs crisis, what is it like to be a young gay man in New York? How many words are there now for pain and for love? Matthew Lopez’s major new two-part play explores profound themes through the turbulent and often hilarious experiences of a group of young, ambitious New Yorkers. What is the legacy left to them by previous generations? What do they owe the future and each other? Spanning generations and many interlinking lives, The Inheritance brilliantly transposes EM Forster’s novel ‘Howards End’ to 21st century New York. Playing across two parts, which can be seen either in one day or across two evenings, Matthew Lopez’s epic new play is directed by Stephen Daldry with set and costumes by Bob Crowley, lighting by Jon Clark, sound by Paul Arditti & Chris Reid, music by Paul Englishby, UK Casting by Julia Horan CDG and US Casting by Jordan Thaler CSA & Heidi Griffiths CSA. Directed by multi Olivier Award winner Stephen Daldry, Lopez’s major two-part world premiere will play a strictly limited season at the Nöel Coward Theatre, beginning previews on 21st September with an official opening performance on Saturday 13th October.